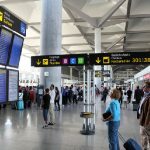 A total of nine flights departing from or arriving at Andalusian airports will be canceled on Wednesday January 11, due to the strike by the pilots of the company Iberia. Thus, canceled flights, in particular, will be the flights Madrid-Seville at 3:45 pm, Seville-Madrid at 5:35 pm, Jerez-Madrid at 1:40 pm, Madrid-Jerez at 11:50 am, Jerez-Madrid at 7.00 am, Madrid-Jerez at 7.50 am, Malaga-Madrid at 5:45 pm, Granada-Madrid at 5:45 pm and the flight Madrid-Granada at 4:00 pm. 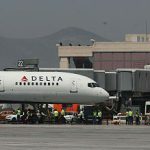 Affected international connections are the long-haul flights connecting Madrid-Barajas to Miami, Bogota, Lima, Sao Paulo, Buenos Aires and Mexico. 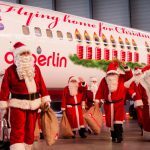 Also affected are flights to Lisbon, London, Brussels, Amsterdam, Paris, Zurich, Geneva, Frankfurt, Milan, Venice, Tel Aviv, Moscow, Zurich, Rome and Casablanca. This strike today adds to the one last Monday, January 9 and the two-day strike on December 18 and 29, 2011. 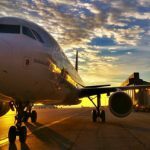 Iberia has eased rates to facilitate the exchange or refund to customers affected by these cancellations and is looking for alternative flights with Iberia or with other companies with which it has agreements. 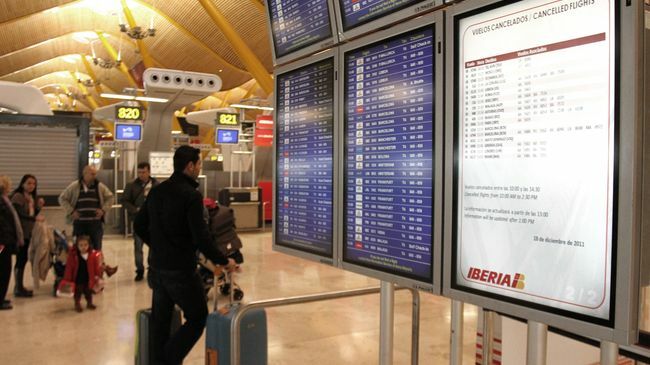 Customers who have purchased their tickets through ‘www.iberia.com’ will receive a message about the incident that might have occurred in their flight and a travel alternative, where feasible, to be agreed in the website. They may also call the phone number Iberia has established to address this issue, the 902 100 988 in Spain, to be offered alternatives. If you do not want to fly, the reimbursement will be processed through the same website. Meanwhile those who have booked through a travel agent should contact with this in order to manage changes or refunds of their tickets and to expedite the paperwork. Iberia will keep their customers informed at all times through its website, Serviberia and other call centers of Iberia worldwide, Iberia profiles on Facebook and Twitter, all points of customer service in more than 100 airports where operates Iberia, and travel agencies.